Falcon Food­ser­vice Equip­ment were given bad advice by a rep­utable energy con­sul­tancy, which resulted in a huge addi­tional cost to their busi­ness; also, they were not given the best rates avail­able at the time. Their Pur­chas­ing Man­ager, Bill Glen, con­tacted us for advice and support. 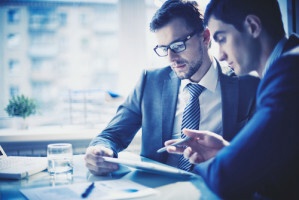 “Once I was in con­trol of the company’s energy needs, I turned to Busi­ness Gas.Com to help us secure bet­ter rates and I saw imme­di­ately that the advice we were given was sound and clear. They offered a more inti­mate man­age­ment con­trol of our account, whereas other con­sul­tants were still using scare­mon­ger­ing tac­tics to get a con­tract sig­na­ture, because of the impend­ing threat of ris­ing energy costs. With Busi­ness Gas.Com’s advice ‘Don’t panic, go short term, and the mar­ket will cor­rect itself’, we chose short term con­tracts. Within months, the prices dropped rapidly and our rates reduced by 40% — 50%. If we had taken the 2-year deals, which had been sug­gested, it would have cost the com­pany a fortune. We get numer­ous calls from energy con­sul­tants vying for our energy busi­ness, but we kept hear­ing the same old advice, urg­ing us to sign a long-term con­tract because prices are about to increase, and this advice was com­ing from so called major energy brokers. Busi­ness Gas.com, even when the mar­kets are not good, still man­age to get us the best rates, and the advice is always accu­rate and assured. I would rec­om­mend Busi­ness Gas.Com to you, even if it is only for sound advice give them a call, it will cost you nothing. 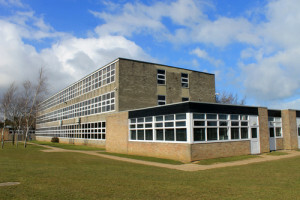 A large comprehensive school with leisure centre facilities needed to reduce gas consumption. There were several boiler systems servicing different areas in place. New boilers and efficient controls were the obvious choices to make a start with, but first we set about examining current consumption patterns to better understand where money was being spent and/or wasted. Our initial contact was to help secure improved gas and electricity tariffs. At the time the local council buying group rates were not competitive. After looking at the figures, it became clear that the site had very high levels of consumption, both when the buildings were occupied and unoccupied. This led us to discuss options to cut energy usage. As a result, we have helped cut both the gas and electricity tariff rates and the overall consumption. This has resulted not only in cheaper energy but also less use of it! A common problem with local authority buying groups is that they only use nominated suppliers; this does not create a level playing field. 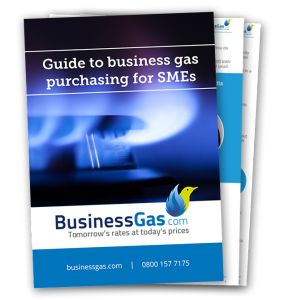 Business Gas.Com do not use preferred suppliers – it is a fact that there are often better rates available than those offered to single business users.